The oldest-known Rover SD1 is scheduled to cross the auction block on February 16th in Shepton Mallet, England. Wearing chassis number five and registration number JYF 227N, the car was built in 1975 as a pre-production model and prominently featured on the cover of well-known British magazine CAR that same year as a lightly-camouflaged prototype. 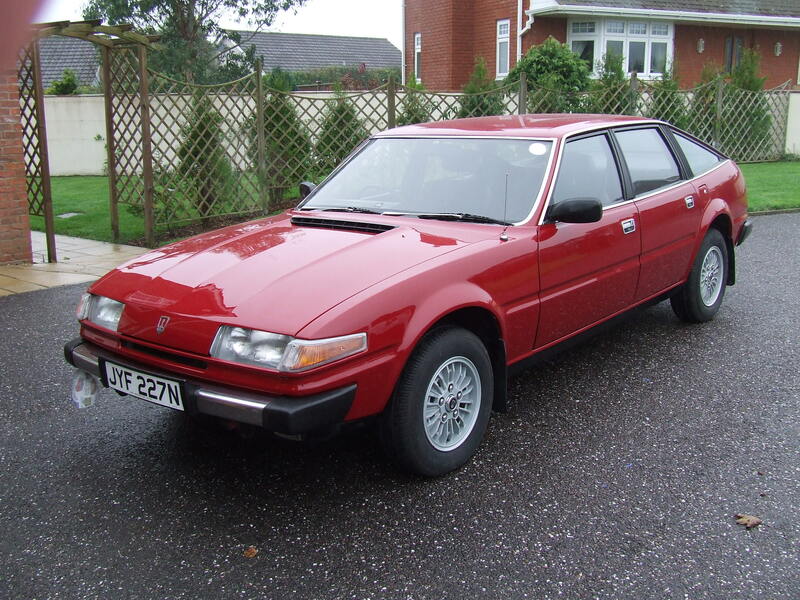 Enthusiast website RoverSD1Cars reports the chassis number five was first registered on June 11th, 1975, nearly a full year before regular-production SD1s started trickling into showrooms across the United Kingdom. The car was used to test the structural integrity of the SD1 body and saved from the scrapyard at the very last minute by a Rover employee in 1977. The SD1 went through several owners over the following years and eventually wound parked in storage lot in rough shape. It was purchased by British magazine Practical Classics in 1990 for £350 and offered as the first prize of a contest, but the winner turned it down because of its poor condition. The car subsequently went through the hands of several additional owners before being picked up by noted SD1 historian Bill Draper. Draper treated the SD1 to an incredibly thorough restoration using as many original parts as possible. He repaired a jaw-dropping amount of rust, rebuilt the 3.5-liter V8 engine, brought the interior back to showroom-spec and gave the car a new paint job in its original Richelieu Red shade. The work was finished in June of 1999 and a photo of Draper and his SD1 graced the cover of the national SD1 club’s magazine later that year. Draper sold the car to another enthusiast in 2005, and it currently resides with yet another owner in a private car collection. An article published in a small paper called Stour & Avon Magazine claims the owner is selling off cars in order to shift the focus of his collection and the Rover was one of the first to go because his wife has never liked it. Charterhouse Auctions expects the SD1 to fetch anywhere between £7,000 – 9,000 (roughly $11,500 – $14,900 / €8,500 – €10,900) when the hammer drops. Photos courtesy of Charterhouse Auctions.